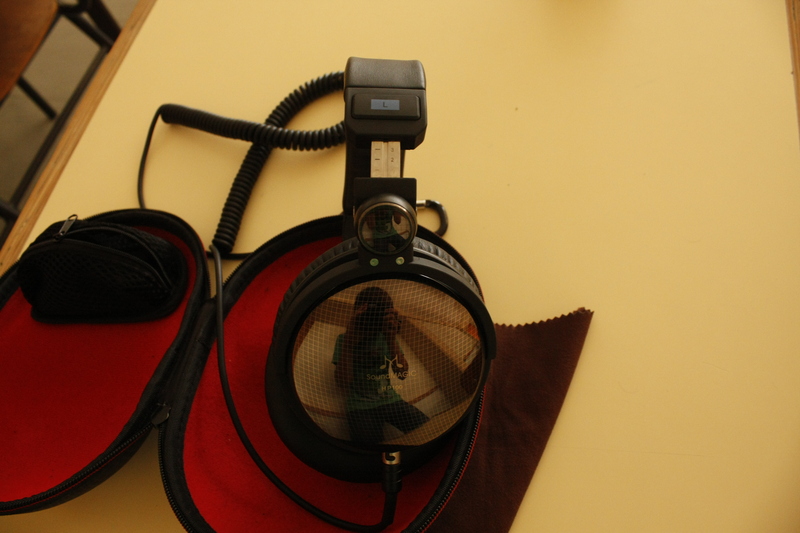 I would like to thank tony at soundMAGIC for asking me to review their First full size circumaural headphone, and I must say they have done a very good job. I will try and write as honest a review as possible, and any opinions expressed are my own and others may not agree. These have had 100 hours of burn in, as suggested by soundMAGIC, and differences were noticed, so do not judge them straight out of the box. Packaging is quite attractive, with a simple white box with a picture of the HP100 on the front, a frequency graph and some info on one side, and various positions you can use the headphones in (folding, one ear etc…) on the other side. On the back it has the specifications and some more info. 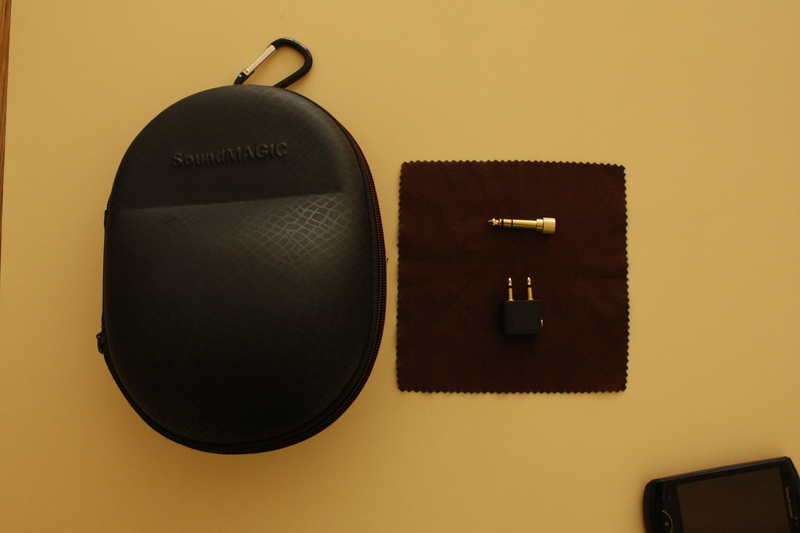 Accessories are very good, a nice hard case, for transportation with a clip to clip it onto your bag, a flight adapter, a 3.5mm to 6.3mm screw on adapter and a cleaning cloth. Overall a very nice package, not missing anything, I do love the hard case. Build quality seems very sturdy, the headband is very flexible and is covered in pleather, the cups are plastic but the shiny plates are all metal. The extender arms are reinforced with metal and the single sided cable is detachable via a 3.5mm lock in plug (so no aftermarket cables I’m afraid). 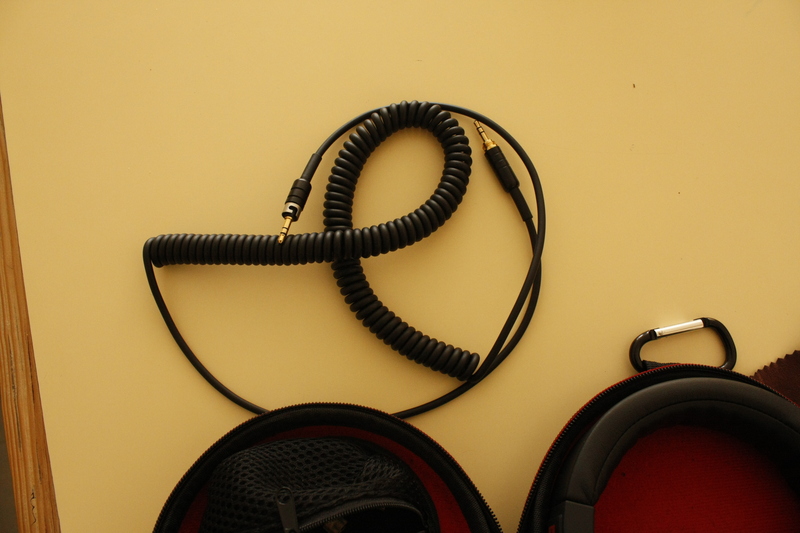 The cable is coiled but not particularly bulky or heavy and perfect size for portability, the strain relief on both jacks are very good and made of flexible rubber, the cable is medium in thickness. 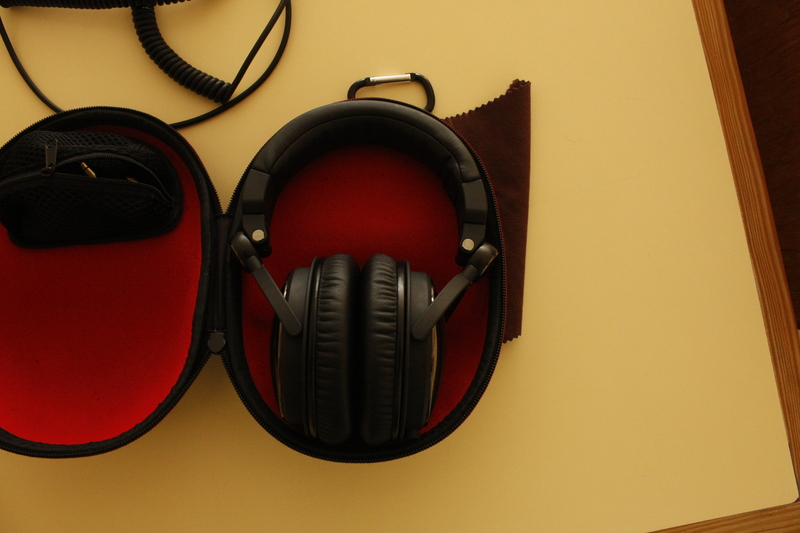 The pads are pleather and very soft, and also replaceable, I want to try some Beyerdynamic DT770 velour pads one day. The isolation isn’t great but good enough for walking about with, but I don’t think these were made to be particularly portable. 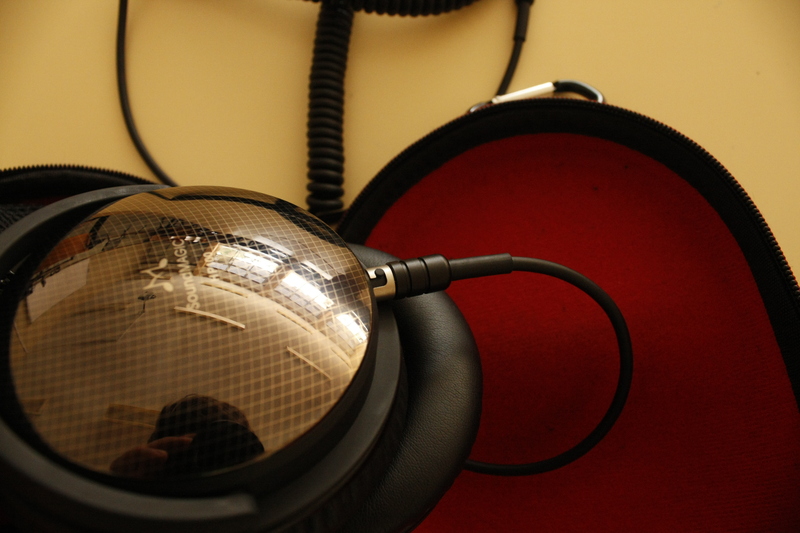 The whole headphone kind of reminds me of the DT770 in style, with the circular cups and pads, and general shape. These can fold inward neatly (like the audio technica ATH-M50 and Shure SRHXXX), and the cups can rotate 90 degress to the back so you can use them on one ear, dj style. All hinges are metal and sturdy. Not bass monsters, so bass heads need not apply, but the bass they do have has very good puch when needed and extends low with great control and detail. The bass is full bodied but not extremely fast in recovery, I think the full body of the bass helps as like this they don’t sound cold or thin and give an overall great body to the sound. I find the amount of bass perfect, if slightly above neutral. They handle EDM and Dubstep very well in my opinion and the bass does not bleed into the mids. I find the mids on these very transparent in the way that on some tracks the mids sound slightly behind, but not exactly recessed, but on others the mids are perfectly balanced between the lows and highs. The mids are detailed but never harsh and they don’t throw detail in your face. The mids are very smooth with only the slightest hint of sibilance (mainly on bad recordings). They portray vocals very naturally but electric guitars do lose some power. Great is a good word to describe the highs, never harsh or bright, with the right amount of presence (a little bit more forward wouldn’t hurt though). Details in the highs are easy to pick out and they extend very well with a good amount of sparkle. The decay and shimmer is perfect for my liking. Every tap and crash of cymbals can be heard with great detail and never become splashy. The soundstage is one of this cans strong points, it reminds me of the DT770 with great width, depth and height. Imaging is also done very well but not quite as good as my Shure SRH440. Instrument separation is good, there is enough space between the lows, mids and highs, but these don’t have an airy presentation so the space between the instruments isn’t that big. I think soundmagic have done a marvelous job with their first full sized closed cans. There are a lot of options in the sub $200 zone and these do a great job at fitting in. I think depending on your preference there are better options, but for a great all rounder that you can throw anything at and it will sound great, then these are very good. They are easy to listen to and have no real weak points, with a smooth no fatiguing sound with amazing comfort you cannot go wrong. They are balanced, but not neutral with a sense of warmth and thickness to the sound, but they just sound very natural playing whatever genre you like. 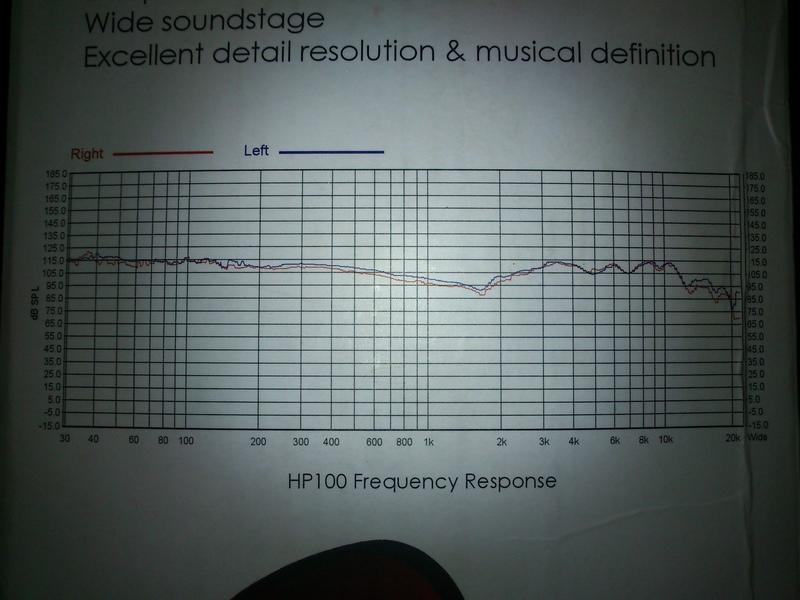 I cannot hear any major dips or peaks in the frequency response. I must say I can’t think of a better option for music, gaming, movies or TV, they out do the DT770 in my opinion. These really do benefit from amping, as i find them to sound flat and bring just driven from my iPod, adding an amp brings out the bass, and widens the soundstage and just brings out the best in them. Also they are not very sensitive so you will have to crank up the volume of you portable source to get decent listening volumes.